PCE Thursday Night Lecture Series presents photographer and MassArt continuing education instructor, Eduardo Rivera. 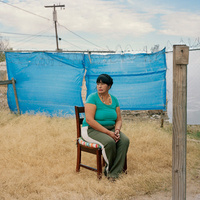 Eduardo L Rivera is an artist whose work functions at the intersection of photography and personal narratives. He has exhibited throughout the United States, including the Houston Center for Photography, the Photographic Resource Center at Boston University, the Center for Fine Art Photography, the Philadelphia Photo Arts Center and the Tucson Museum of Art. Additionally, his work has been featured in various publications such as Hyperallergic, the Financial Times weekend magazine, Aint-Bad magazine and has been awarded artist-in-residence positions in Brazil and India. Most recently, he was named a Massachusetts Cultural Council Fellow in Photography for 2017. Eduardo holds a B.F.A in Photography from Arizona State University and a M.F.A in Photography from the Massachusetts College of Art. He currently lives and works between Boston and Phoenix.